On December 22, 2018, the Department of Orthopaedics and the Massachusetts General Hospital community lost an iconic figure: Henry Mankin, MD. He will be forever remembered as a dedicated clinician, scientist, educator, and leader. Dr. Mankin was 90 years old. A Pittsburgh native, Dr. Mankin graduated from The School of Medicine at the University of Pittsburgh in the Class of 1953. In 1960, Dr. Mankin completed his orthopedic surgery residency at the Hospital for Joint Disease in New York, where he started his career as a professor and director of orthopedics, followed by time at Mt. Sinai Hospital before ultimately moving to Boston in 1972. 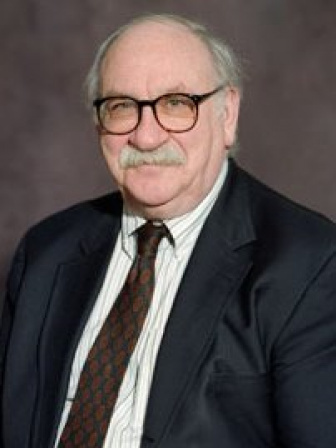 At Mass General, Dr. Mankin was Chief of Orthopedic Surgery from 1972 to 1996, as well as the Edith M Ashley Professor of Orthopedic Surgery at Harvard Medical School. Upon arrival to Mass General, he brought fellow orthopedic educators, including the late Drs. Richard Smith, Michael Ehrlich, and Robert Leffert. As such, he built an outstanding academic and clinical department. Among his many achievements, Dr. Mankin is known for his more than 600 publications and world-renowned lectures, as well as his representation as a ubiquitous figure in orthopedic surgery. If ever an orthopedic surgeon could have been a household name, Dr. Henry Mankin would have been it. He leaves an indelible mark on Mass General, orthopedic surgery and the world in general. He regarded teaching as the highest profession, as he believed it is a teacher’s great privilege to inspire students to accomplish even more, a sentiment that will remain his ageless legacy.